Murphy (left) and Shaw (right). There’s something special about coming home. 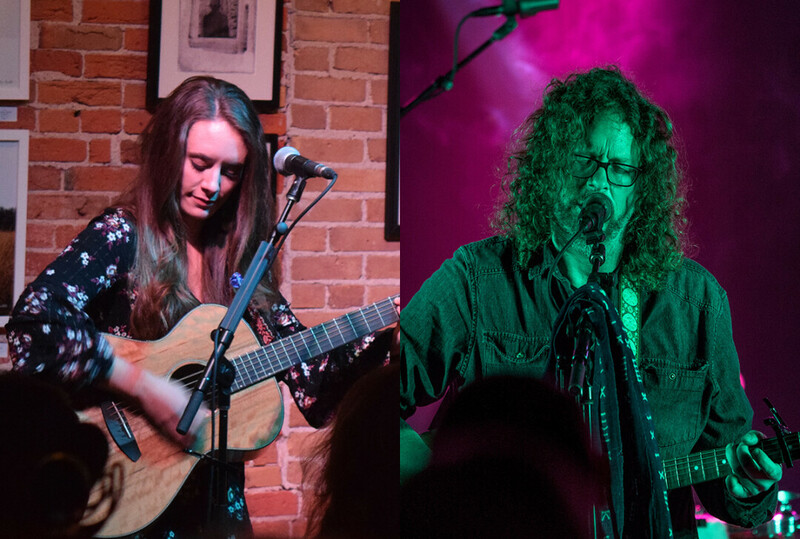 On Dec. 14, two musicians who both sprouted their musical roots in Eau Claire are returning to perform at the very studio where they recorded their most recent albums. Bri Murphy graduated from Memorial High School with noteworthy local musicians Ben Lester and Dave Power. With family in Tennessee, she eventually landed in Nashville, earning a Masters in Classical Violin. Today, Murphy is a singer/songwriter who describes her genre as Americana with country, rock and pop influences. When it came time to record her album, she reached out to her musical classmates and contacted Pine Hollow engineer/owner Evan Middlesworth. Murphy said, “As soon as Evan and I started talking, I could tell Pine Hollow was going to be the right place. It’s magical there.” Ben Shaw is also an Americana singer/songwriter. His music, layered with modern folk influences, is backed by local Eau Claire talents Paul Brandt, Adam Harder-Nussbaum, and Eric Thompson. Shaw attended UW-Eau Claire and moved around before landing in LA to work as an intellectual property attorney. Renowned sound engineer Middlesworth described working with Shaw and Murphy. “Both Ben and Bri came in with songs in hand and were very open to the ideas the session musicians brought on board,” he said. “That right out of the gate is, to me, the sign of a true professional.” Middlesworth added that this will be the last show of 2018 at Pine Hollow. It sounds like it’ll be worth leaving the house on a winter evening to see this special homecoming performance.